The off-season is offer and football is returning to our television screens. Football in the sense of the game. It’s the first preseason game. 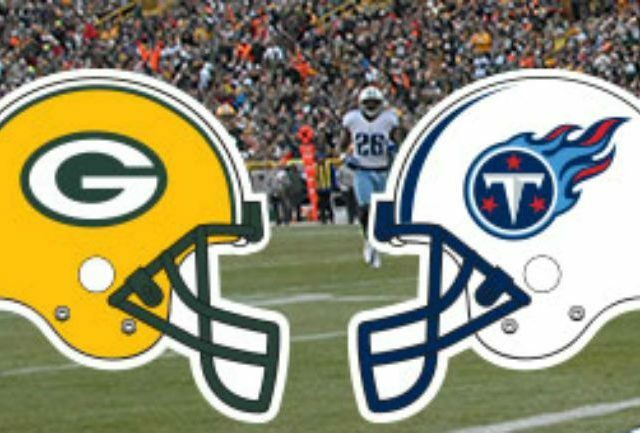 Exactly one month before the Packers kick-off their 100th season against the Chicago Bears, the Packers will play the Tennessee Titans in the first preseason game. It has been a long offseason. It feels extra long because the team last played in December. 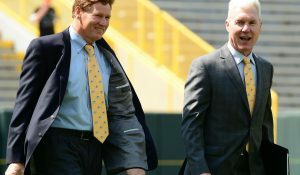 Since then, Ted Thompson moved to a Senior Advisor role, Eliot Wolf and Alonzo Highsmith left, and Brian Gutekunst was named the new General Manager. On the coaching side, Dom Capers was fired and replaced with Mike Pettine. Joe Philbin was brought back as offensive coordinator. There were a lot of changes this past offseason, probably the most Titletown has seen in a while. In the first two weeks of camp, there have been plenty encouraging reports. There has also been some bad news in the from of injuries. Now we actually just to see these young players in game action and see how the position battles play out, and there are plenty of those. Let’s take a look at 3 things to watch in the first preseason game against the Titans. With Aaron Rodgers being injured last season, we witnessed how important it is to have a backup quarterback who can keep the team a float until QB1 would return. Rodgers is not going to play much during the preseason so that will give the candidates, Brett Hundley and DeShone Kizer plenty of opportunities to take control of the QB2 spot. Hundley has experience playing in the Packers’ offense after starting nine games last season, so he may have a slight edge. Gutekunst obviously felt he needed an upgrade, as he trade for DeShone Kizer. He was a second round pick in 2017 and has plenty of potential. Both of had glimpses so far in camp and both have had their fair share of struggles as well. It’s tough to call who will be the backup to Rodgers by the time the season starts. My initial pick is Kizer would be the backup. I don’t think Gutekunst traded for him to have be the third quarterback or released. Now, this all depends on him playing well this preseason. This offseason the Packers released fan favorite Jordy Nelson. Gutekunst replaced him with tight end Jimmy Graham. At the wide receiver position though, there are two veteran playmakers and three locks to make the 53 man roster; Davante Adams, Randall Cobb and Geronimo Allison. 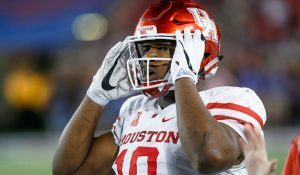 The offseason and draft focus was adding youthful talent and speed to the group, something they lacked recently. Gutekunst drafted J’Mon Moore, Marquez Valdes-Scantling and Equanimeous St. Brown, who all have potential in their own ways. They rookies have flashed that potential but they have all struggled as well. I do find it hard to see Gutekunst cutting them though. The one guy who is having a fantastic camp and is getting called out for it by Aaron Rodgers is Jake Kumerow. That leaves 7 receivers. Would they keep all 7? Let’s not forget about Trevor Davis who is a great special teams player. This is going to be a fascinating position to watch. It is go time for all these receivers. Whoever gets cut, I believe will end up on an NFL roster this season. Probably one of the top stories of the preseason will be the play of the new young secondary. They have been aggressive in training camp and picking off Rodgers. Now let’s see if how that translates in the preseason. Gutekunst used his top 2 picks in the NFL draft to select Jaire Alexander and Josh Jackson. He also brought back Tramon Williams as a free agent to add an experienced veteran to the group. 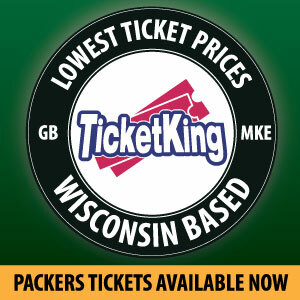 Let’s not forget that they will be getting last year’s first round pick Kevin King back from injury. Before he got injured, Kevin King was putting together a quality rookie season and it looked as if he would have the position on lock down for years to come. This group is young and talented. If the can get pressure on the quarterback upfront and force him into some bad spots, these kids are going to be able to turn the field with a pick. Obviously, Pettine is going to be throwing the kitchen sink at opponents during the preseason, but we are going to see how these guys look and if they can get the job on the back end. 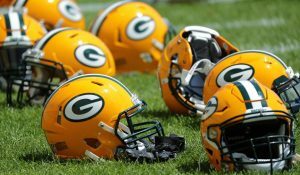 The 2018 Packers are upon us and it is going to be exciting to watch this team development and hopefully get back to the playoffs. It will be an exciting preseason with all the changes made in the offseason. This entry was posted in Anthony Haag, Packers 2018-2019 Season and tagged Aaron Rodgers, Brett Hundley, Brian Gutekunst, Deshone Kizer, Green Bay Packers, Packers Preseason, Packers Preseason 2018. Bookmark the permalink. If I were running the show……. Hundley would be gone. How could you ever think you could count on him? He had three years to get ready and he wasn’t. He couldn’t even figure out how to get the ball to Jordy. And then get a real backup. Invest a year in Kizer and see if he develops.. The secondary needs to show they can cover. Not one player in our secondary other than Dix or Tramon has shown they can remain available and cover. Changing Capers for Pettine will help….But not if we can’t keep guys on the field.